Good food & fine wine lovers enjoying making real food, from scratch, sourced from the local area, in great company, in a stunningly historic building brimming with conviviality and bonhomie was the vision of mother & daughter partnership Marjorie Taylor and Kendall Smith Franchini, and that vision made real is ‘The Cook’s Atelier’. The Cook’s Atelier, Beaune, is the ultimate foodies’ workshop; the perfect gastronomic getaway for a taste of epicurean living inspired and seasonally stocked within the local area of beautiful Burgundy which is famously laden with a wholesome bounty from artisan food and drink producers; butchers, bakers & beekeepers; cheese-makers & vintners; farmers & gardeners galore – an area globally renowned for iconic French cuisine and wine-making. France has long been an important place for expat Americans, Marjorie & Kendall, as French food, lifestyle and culture have always been passions of theirs. Both women studied in France, Marjorie in cooking and Kendall in viticulture, and Burgundy as an area of both beauty and authenticity, with its strong farming, wine-making and food producing traditions, makes it the perfect location for Marjorie and Kendall to realise their dream. From sourcing food at the local market in Beaune in the early morning to sitting around a long zinc-topped farmhouse table for long French lunches to sample the fruits of labours and toast collective culinary success, the congenial atmosphere of like-mindedness and a mutual appreciation of real food, cooked and savoured slowly – and ultimately shared around a table – is what The Cook’s Atelier is all about. Here we are lucky enough to gain a taste of what it means to be involved in such a culinary adventure as Marjorie and Kendall take time out of their busy schedule to talk food, wine, family, friendship and simply joie de vivre! 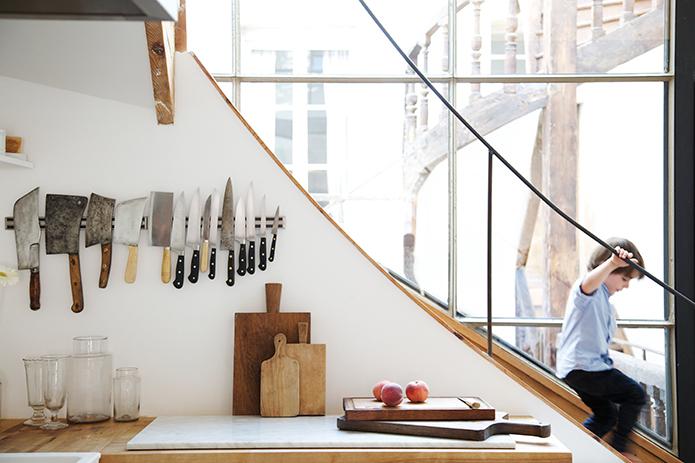 For our readers who are unfamiliar with The Cook’s Atelier, can you explain what you do? We have created a destination for food and wine lovers that highlights the local artisan food producers and winemakers of Burgundy and throughout Europe. Our epicurean centre is housed in a 17th century building and includes a wine shop, culinary boutique, our teaching kitchen and dining room. The Cook’s Atelier is a place for locals and visitors alike to come and participate in special events around local food and wine. 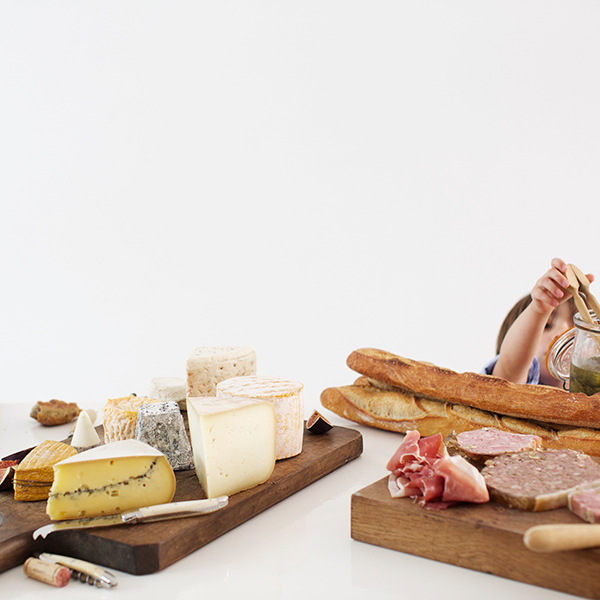 Throughout our time in France, we have created a strong network of artisan food producers that we work with – farmers, organic gardeners, butchers, cheese makers, bakers, beekeepers – both to support small, local businesses as well as to give our clients the chance to see (and taste!) the best that Burgundy has to offer. Our clients come from all over the world and participate in our programs to learn more about the region through cooking and to experience the relaxed conviviality of sharing food around the table. In the unique setting of The Cook’s Atelier, we conduct cooking classes with menus inspired by that morning’s visit to the Beaune market. Our cooking classes and workshops are informative and entertaining, as we believe that cooking should be fun, a bundle of this and a handful of that. 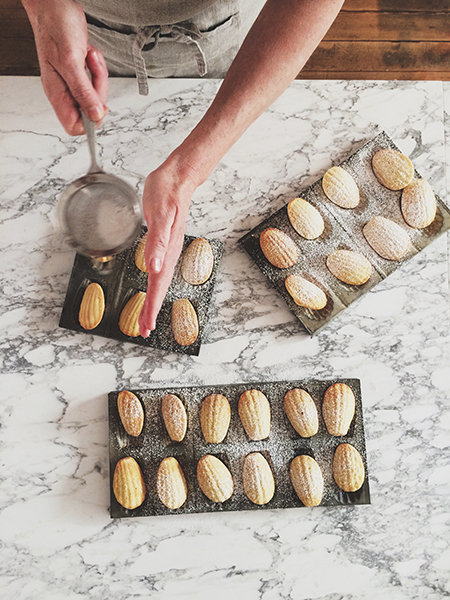 Our style of cooking is rooted in classical French techniques, but our goal is to put the fun back in the kitchen and to inspire cooks from all over the world to bring a little bit of the Burgundian flavour of life back home. 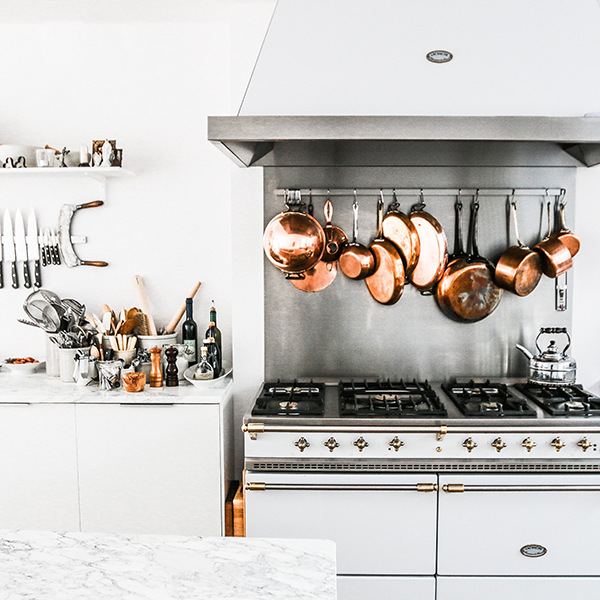 Through our instruction, we inspire confidence in the kitchen and we provide the fundamental essentials of French cooking, making it approachable for today’s cook, while encouraging an authentic intuition in the kitchen. As the group gathers around the long marble kitchen prep table, we give a brief introduction of the menu, and then guests tie on an apron and begin cooking. We circulate during the preparation of the meal to provide guidance and impart culinary knowledge. Once the cooking is complete, the group will be seated around the long zinc-topped farm table in our dining room to toast their culinary success and savour the fruits of their labour. Guests enjoy a five-course seasonal menu paired with local wines from the region. Burgundy, France, is a long way from Phoenix, Arizona; what inspired you both to move across the Atlantic and set up the cookery school? Being a close mother and daughter team, it was important for both of us to live on the same side of the pond and create strong family roots. The time had come to bring together our combined passions and create the life we had always dreamed of. A life where every day was a reflection of our true values and heart’s desires. Both of us being very entrepreneurial, we decided to create a business that would reflect our love of all things French, food, markets, family traditions and a life rich in simplicity with a focus on what really matters – family. 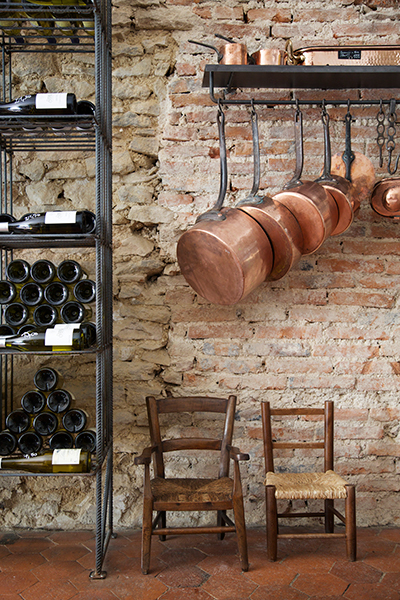 The Cook’s Atelier has been a true labour of love and has evolved over the years, taking on its own momentum. We knew this journey would have its ups and downs and that we would come across a few bumps in the road along the way. We set our sights high and jumped feet first into founding The Cook’s Atelier with the intention of creating a special place that supports the connection between the farmer and the cook and where people from all over the world could come together, learn to cook, and have a good time. What is it about French cooking that particularly appeals to you, as opposed to, say, Italian or Spanish? We love the techniques involved in French cooking, however, we take inspiration from both Italy and Spain. Even though we are a cooking school and we teach people classic French techniques and methods, our focus is geared to the home cook and we hope to inspire students to return home and begin cooking wherever they might come from. For us, it doesn’t have to be overly dramatic; it is about creating a lovely experience for friends and family with a focus on good and simple food. Beaune is one of the key wine centres of France, and the wine capital of Burgundy; did this influence your choice of location for the school, knowing you would, at some point, establish your own complementary wine shop? 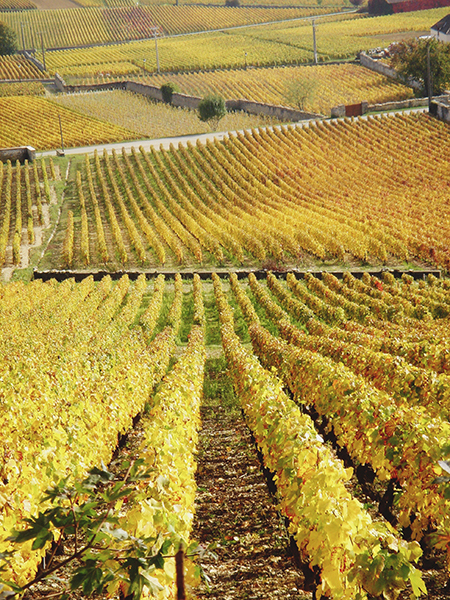 Burgundy is the heart and soul of France. It is so rich in history, traditions, and “terroir”. 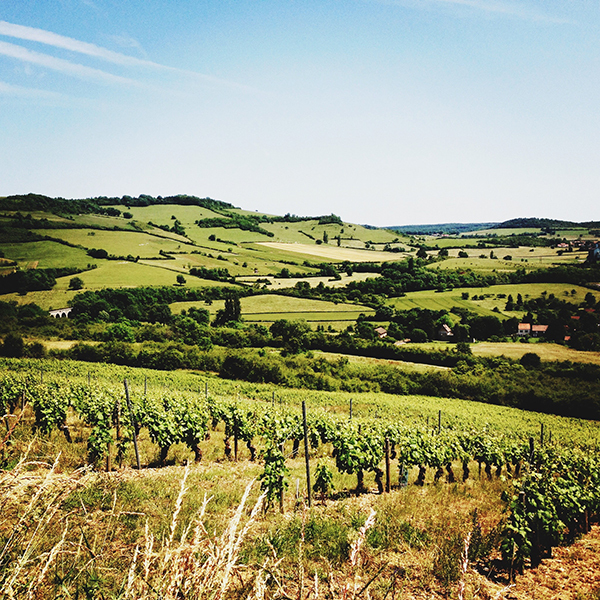 Having lived in various other parts of France, Burgundy is still one of the most beautiful and authentic regions. It is located about 2 1/2 hours from Paris via high-speed train. Beaune itself is one of the most charming towns with about 25,000 people. It is small, yet very international as many people visit to explore one of the greatest wine regions in the world. We love it especially because it is still very real. 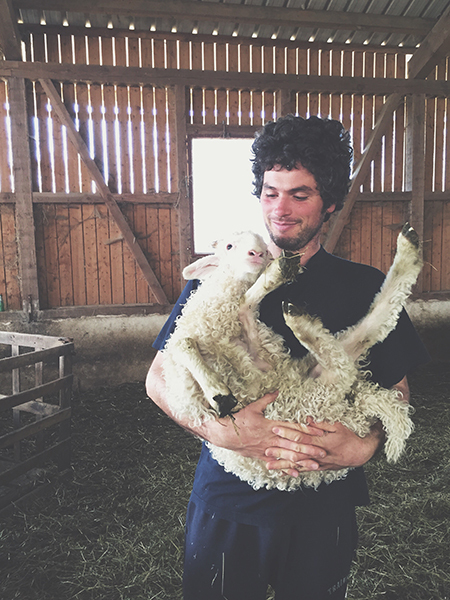 We are so lucky to be able to find and work with real farmers who love what they do. We refer to our winemakers here as “farmers who just happen to grow grapes”. They are truly passionate. Winemaking is taken very seriously here, but unlike some winemaking regions in France, the winemakers wear coveralls rather than a suit and tie. Beaune has one of the most beautiful markets in France and we especially love it because the landscape is ideal for growing good food. We first dreamed up the idea of moving to France decades ago. Family is very important to us, and we wanted to create a business around the things we love and the life we wanted to live. 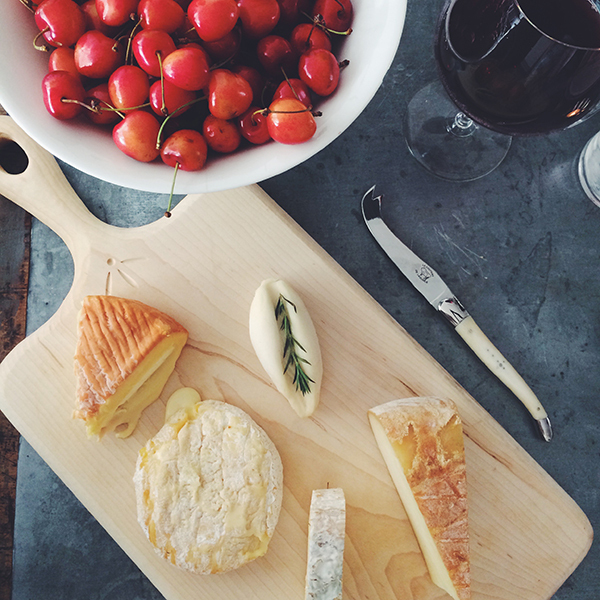 French culture, food, and lifestyle have always been inspiring to us. As a cook, I chose the route of a self-taught cook and apprenticed in French restaurants and had the privilege of studying at La Varenne under noted teacher and cookbook author, Anne Willan, where I perfected my skills in classical French techniques. Early in my career, I opened my own French-inspired neighbourhood restaurant and cooking school in the States. For Kendall, her love of France began at an early age. She studied French and Art History at university and then found herself living in Paris and working at Christie’s Auction House. Over the years, she gained an interest in wine and in her off hours, she pursued this interest by working at Legrand Filles et Fils, a well-known wine bar in Paris. She loved this experience so much that she decided to move to Beaune to study viticulture and ultimately worked for Kermit Lynch Wine Merchant in their Burgundian office. As fairytales go, she found her very own Frenchman and decided to make France her permanent home. 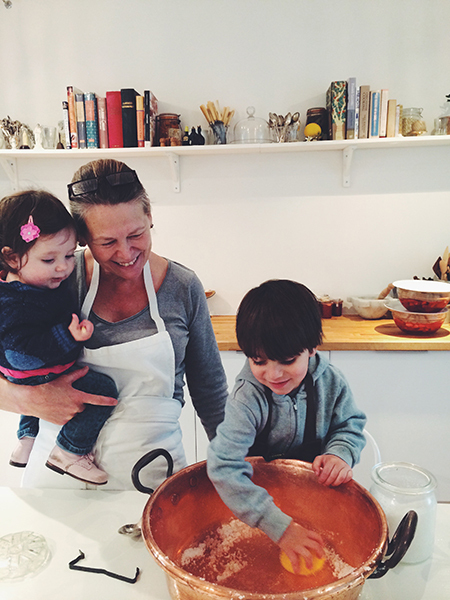 She has two adorable little French babies, Luc and Manon Clair (tiny cooks in training). 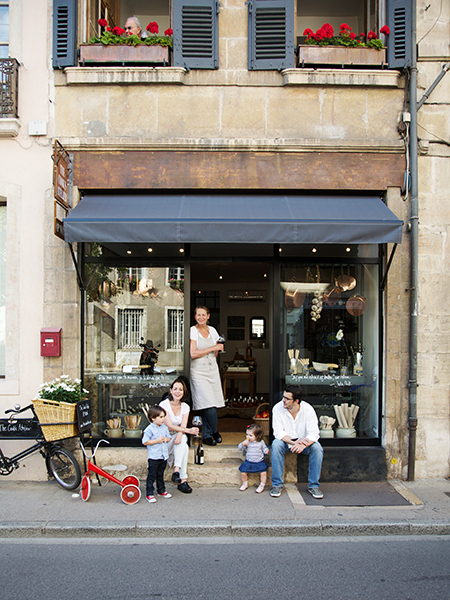 For us, Beaune was the ideal place to make our dream a reality. 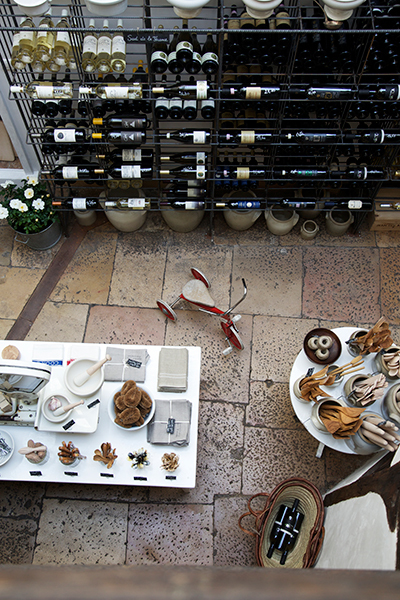 Not only for its food and wine culture, but also because, to us, it still feels like authentic France. Are your courses and workshops designed for experienced cooks, or can people without any real cookery skills partake as well? And what do you expect participants to learn on your courses? 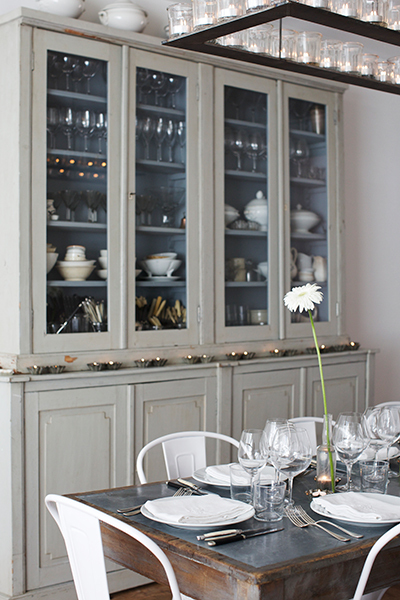 We offer three types of cooking classes at The Cook’s Atelier. 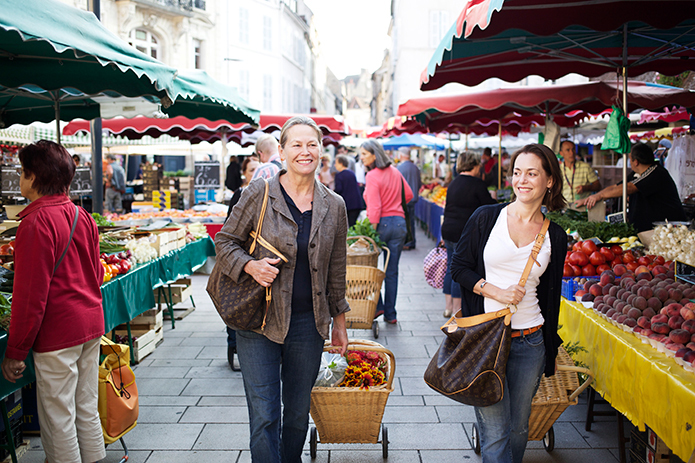 “Market Tour and Cooking Class” takes place on Wednesdays and Saturdays; market days in Beaune. 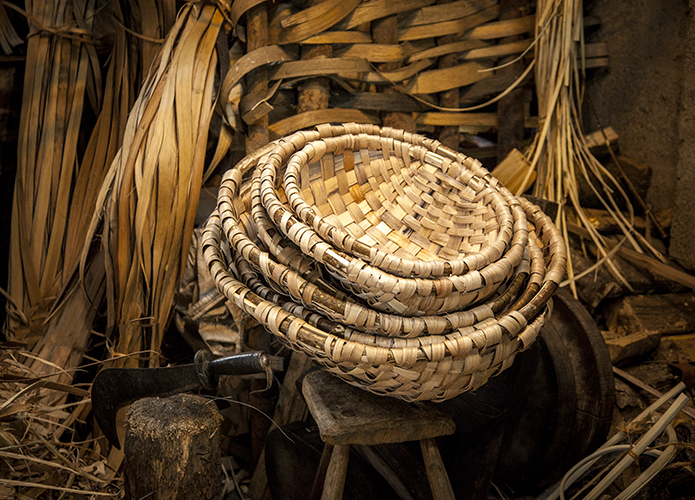 This program is our most popular as it gives guests the opportunity to meet our favourite artisan food producers at the market and learn more about the region from a cook’s perspective. We meet in the morning and tour the market, gathering ingredients for the day’s cooking class before we head to the atelier for the hands-on cooking class. After the cooking class, guests sit down for “the long French lunch”. This program is very convivial and people come from all over the world to enjoy the common interest of good food and conversation around the table. “A Cook’s Workshop” can be offered as a one, three or five-day program and is geared to the more serious cook. It gives the students an opportunity to learn the specific skills of a French cook and includes the cook’s basics, batterie de Cuisine and classic French techniques. Each day is filled with hands-on instruction, good food and good wine. “Seasonal Suppers” is available as a cooking class/dining experience for private groups and is available as a lunch or dinner. We begin the program with a demonstration-style cooking class before guests enjoy a convivial dinner. Our seasonal suppers program highlights a favourite artisan food producer or winemaker from the region. Our goal for all of our cooking classes and workshops is to inspire people to return to the kitchen and enjoy the process of cooking. It doesn’t always have to be complicated. 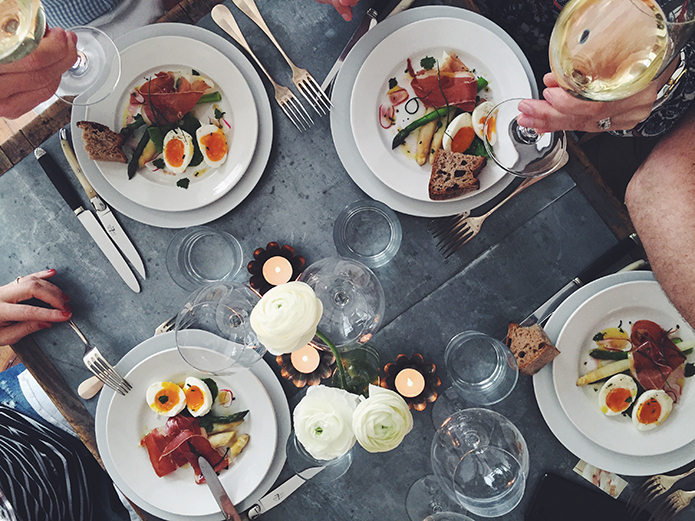 It is about the joy of cooking and gathering friends and family around the table to share a meal. What do you feel makes a good cook – is it down to practice and experience, intuition or a scientific understanding of food – and what basic tips can you give to someone intent on improving their cooking skills? We think it is important to learn some basic skills in the kitchen. We obviously lean toward classic French cooking techniques, but the idea is to make cooking, in general, more approachable for the home cook. By learning a few classic techniques, a home cook can boost their confidence in the kitchen thereby making it much more fun. We feel the very most important goal of a good cook is to source great ingredients and cook in the season. 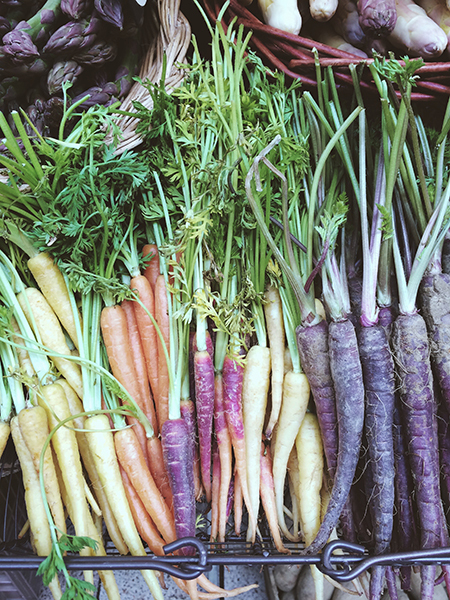 Rather than just following a recipe, we encourage our students to explore their local farmers market, meet the farmers that produce the food. 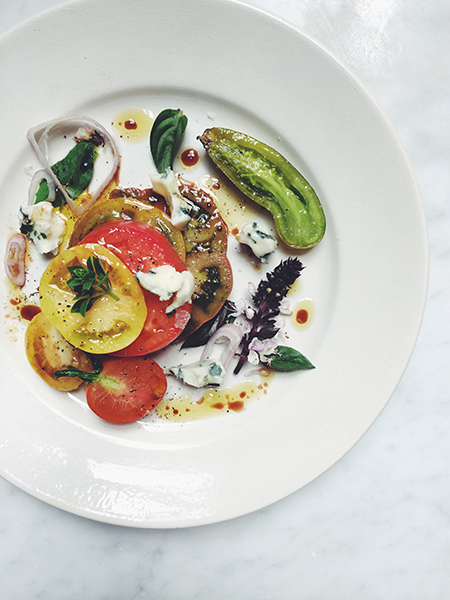 A menu doesn’t have to be complicated, you can work with just a handful of quality ingredients and end up with a stunning result, for example, our heirloom tomato salad. We feel that the sourcing of quality ingredients is just as important as learning basic techniques. You have a passion for slow food and artisan food producers. Can you explain the connection between the two and why they are important for the cook? 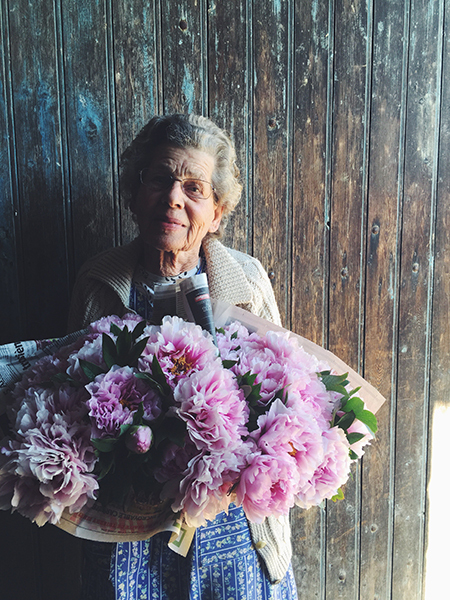 We feel it is important to support small local farmers, wherever you happen to be from. For us, this is the heart and soul of what we do and it is the first step to great cooking. 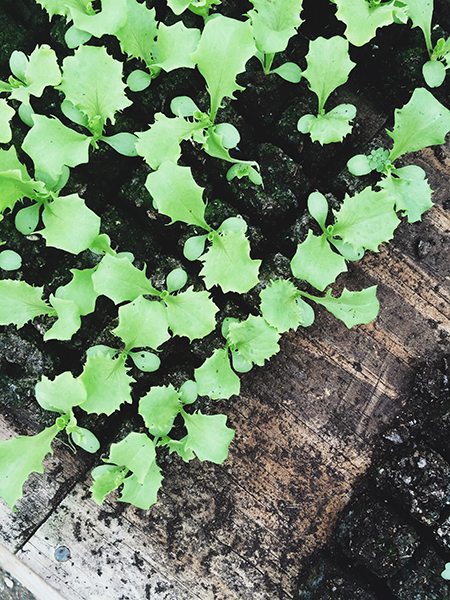 Do you grow any of your own ingredients as well? 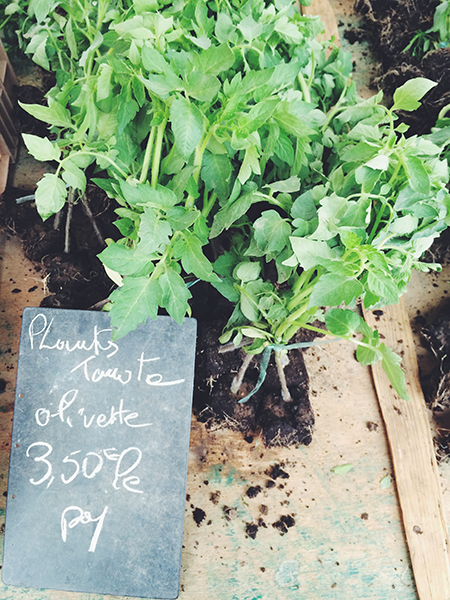 Yes, we have a kitchen potager at Kendall’s house in Cormot le Grande, a tiny village in the Burgundian countryside. Can you describe your historic workspace, and in what way does your immediate environment influence your work? 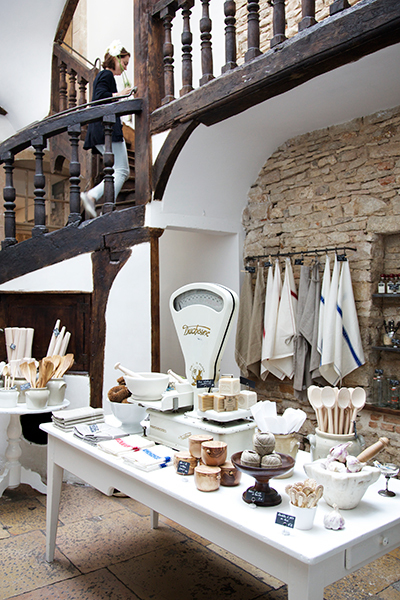 Originally, The Cook’s Atelier was housed in a small flat in the centre of historic Beaune where we ran our cooking classes for five successful years. We had the opportunity in 2013 to expand to our new location and to add our Wine Shop and our brick and mortar culinary boutique, The French Larder, at The Cook’s Atelier. The building was built in the 17th century and architecturally speaking, it is a beautiful, light-filled space. 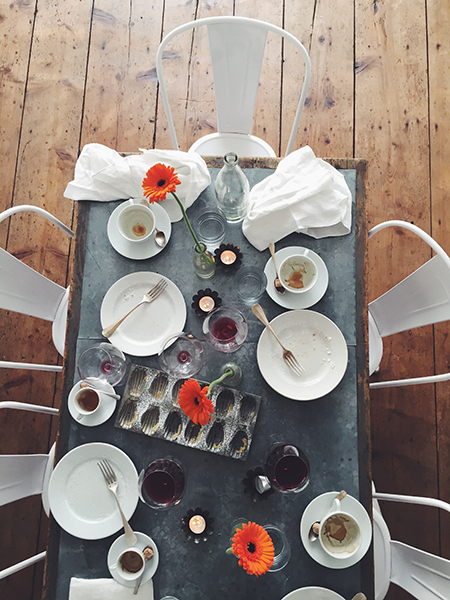 We do our own food photography so finding a light-filled, airy space was very important to us. We like to say that the building found us, because the moment we walked in, we knew we were home. The Cook’s Atelier is very much a home away from home for both of us. We meet in the morning to discuss the plan for the day over a cup of tea. Depending on the day, that might be a cooking class, workshop or special photography project. Kendall’s children, Luc and Manon, come to our atelier for lunch everyday and we enjoy the mid-day, family meal around the long zinc-top French farm table. We are very visual and everything that we have collected over the years, such as French creamware, zinc buckets, vintage linens and cook’s tools have found their place in our new space. 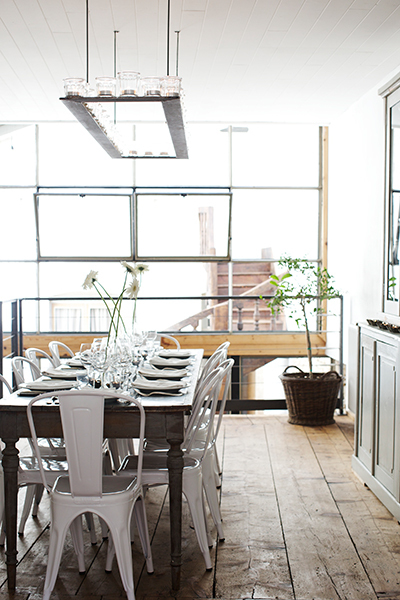 The Cook’s Atelier is a very warm and inviting space and is the perfect setting for our convivial Burgundian gatherings. 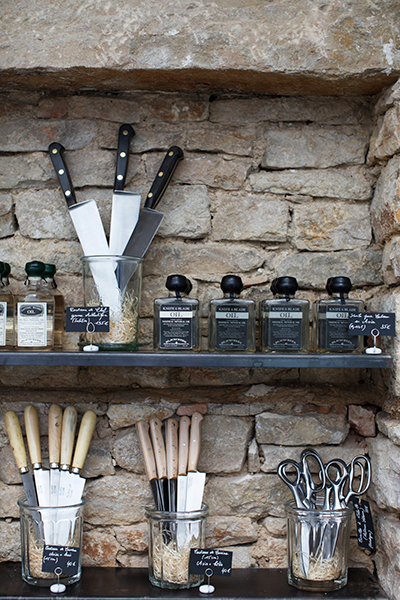 Your store, The French Larder, sells a range of curated artisan food products and cook’s tools, both new and vintage, that reflects what you use personally and in your cooking classes. 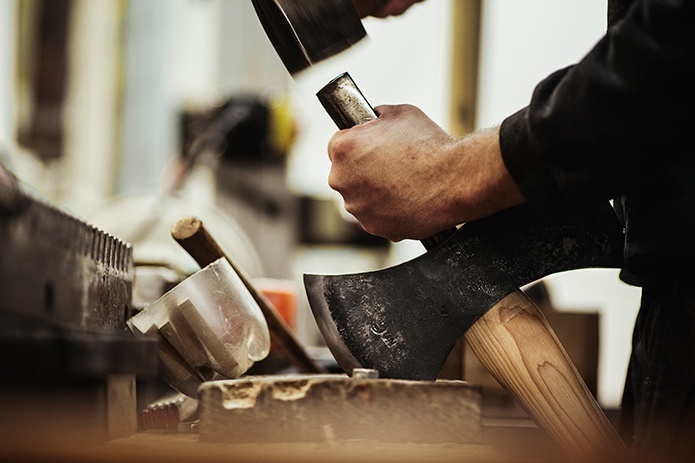 What is it you look for in sourcing the products and tools that you sell? One of the most important things that we like to pass on to our students is that you don’t need a lot of gadgets in the kitchen. 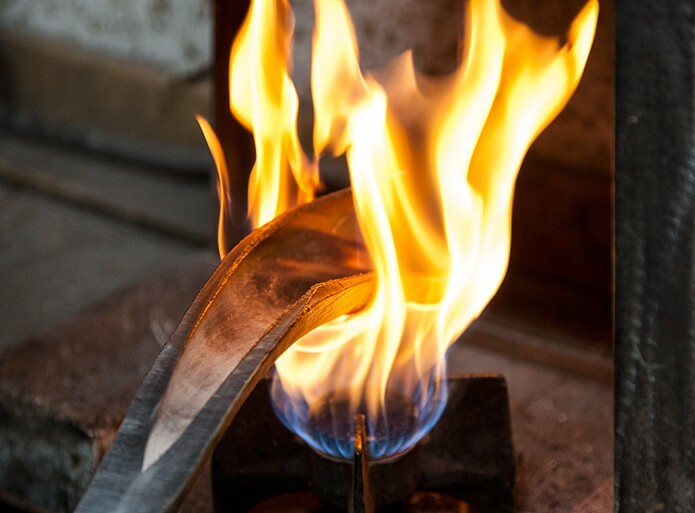 We prefer to do things by hand as we feel this gives the cook a better understanding of the principles behind the technique. In our kitchen, we prefer to use things that are classic, timeless and beautiful. No plastic measuring cups around here. 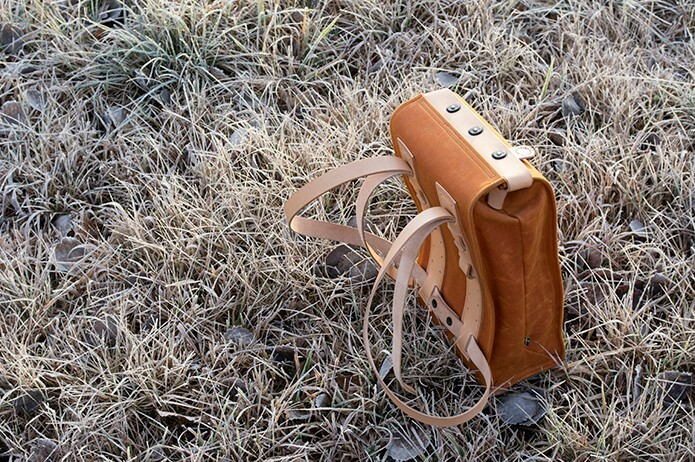 We feel life really is in the details and you should surround yourself with beautiful and utilitarian items that can be passed down to children or grandchildren. For our atelier kitchen and our online shop, we specifically seek out authentic, hand-crafted cook’s tools that we use on a daily basis. The wines you sell in the Wine Shop are an eclectic collection of small production Burgundy wines, as well a curated selection from elsewhere in France, as well as from Italy and Germany. Can you tell us a bit more about the Wine Shop and how you personally select the wines you sell? 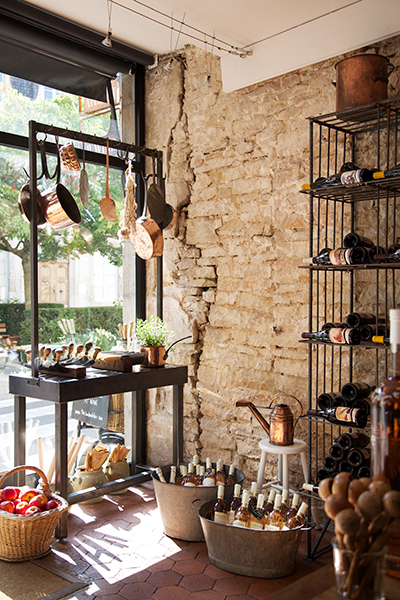 When we decided to expand the concept of The Cook’s Atelier to include a neighbourhood wine shop, we sweet-talked Laurent, Kendall’s husband and the Frenchman, into handling the marketing and managing of the shop as well as designating him as the ultimate go-to Frenchman to make sense of the miles-and-miles of French red tape. We specialize in small production wines from France, Germany and Italy. All of our wines are personally selected and we take pride in our relationships with the winemakers and the story behind each wine. We offer occasional wine tastings in a convivial atmosphere by reservation. Each tasting takes place in a relaxed environment and will feature a region or a favourite winemaker. The tastings are informative and fun and give the opportunity for guests to taste unique wines from small domaines throughout Burgundy and Europe. Since moving to France, what do you think are the things you have learned about French cooking and wine that could have only been achieved by being immersed in the French lifestyle and culture, rather than through books and cookery/wine schools back in America? Learning more about food and wine can happen anywhere. For us, by taking the leap to move to France, we really realize the importance of slowing down and that life really is in the details. We feel, this is possible where ever you live, you just need to make a choice to focus on the things in life that really matter, and put them at the forefront of your everyday. It’s very rare to combine a genuine passion with business and turn it into a success. How do you feel you have achieved this? The journey of being American expats and creating a business in France is a challenging one for sure. We decided to uproot our lives in the states and move to France to be surrounded by the things we love. The core of our business is really all about family and this is reflected in everything we do. We began our journey with this simple philosophy as the focus. The Cook’s Atelier has taken on its own momentum over the years creating a magical place for people from all over the world to visit and share in. 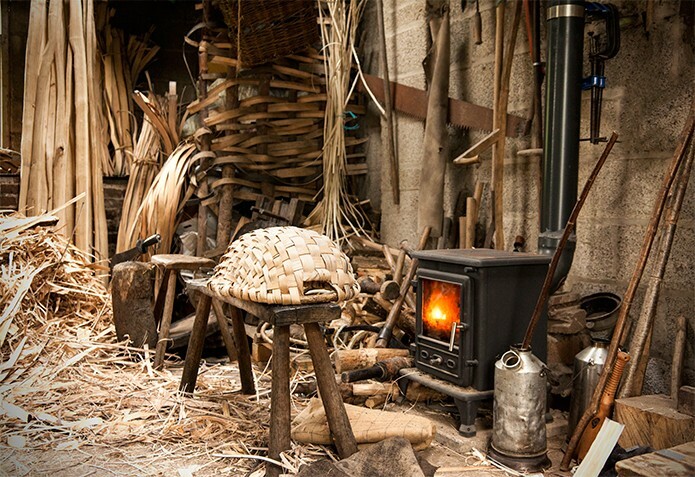 You’ve achieved a lot during your time in France, but what future plans do you have for The Cook’s Atelier? There is always something simmering on the back of the stove. We are always busy with upcoming projects and collaborations, and their just might be a cookbook in our future. Finally, can you give us some suggestions of French recipes and wine pairings that we should try? Here’s a favourite summer salad at The Cook’s Atelier. The heirloom tomatoes are beginning to arrive at the market and we can’t help but fill our baskets to the brim with all the beautiful varieties from one of our favourite farms owned by our friend, Céline and her dad, Yannick. Their tomatoes are absolutely our favourites and they come in every shape, size, and colour imaginable. The recipe is great as an amuse-bouche to begin a summer evening meal or it is also lovely served family-style on a big ironstone platter. For this salad, we particularly love to use a variety of garden basil which might include cinnamon, lemon, as well as the tiny little basil leaves that we source from Madame Loichet’s garden. Using a mortar and pestle, pound the garlic and a heaping 1/4 teaspoon salt to a paste. Transfer to a bowl and stir in the vinegars. Add the olive oil and taste for seasoning. Don’t whisk, as we prefer to dress the salad with a “broken vinaigrette”. Cut the tomatoes into thick slices, about 1/4-inch. Season each slice with fleur de sel and some freshly ground black pepper. Place the slices overlapping on a salad plate and scatter the sliced shallots, basil and chives over the top of the salad. Crumble the Roquefort cheese over the tomatoes. Spoon the broken vinaigrette over the salad. Serve immediately. 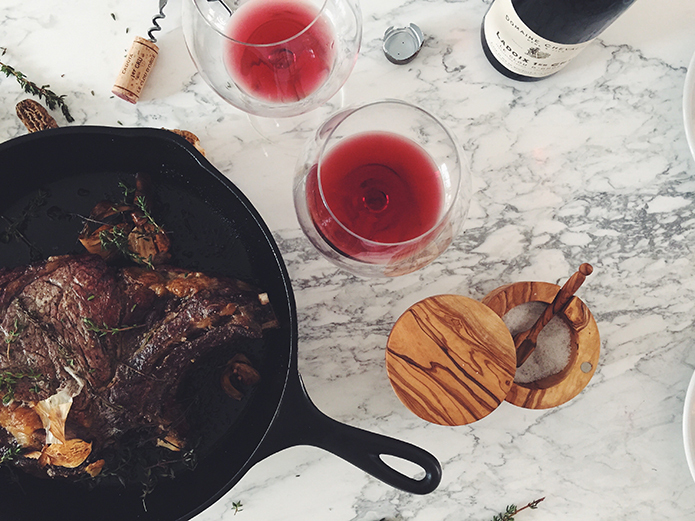 Côte de Boeuf is a favourite at The Cook’s Atelier all year long. 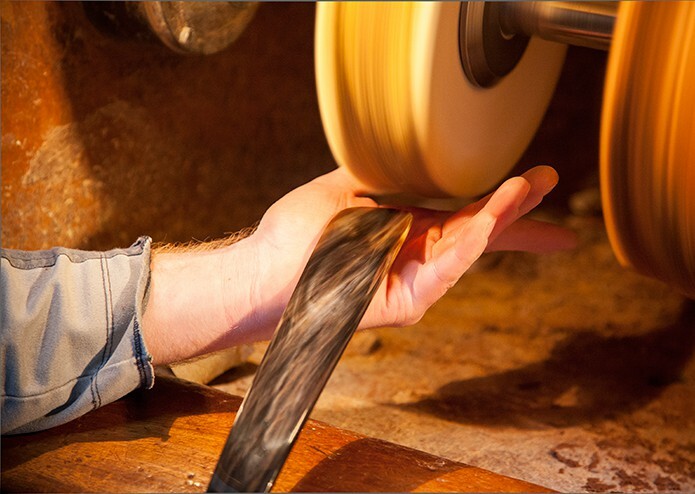 When we decide to make it, we turn to our good friend and butcher, Monsieur Vossot, for the perfect cut. Côte de Boeuf in France is similar to a rib roast in the states and it is perfect for large family gatherings. In the spring and summer months, it goes great with morel mushrooms or a crisp, fennel fava bean, or heirloom tomato salad. In the autumn and winter months, we pair our Côte de Boeuf with a side of gratin dauphinois and seasonal roasted vegetables. Preheat the oven to 400 degrees F. Drizzle a little olive oil over the meat. Season both sides of the Côte de Boeuf generously with salt and pepper. Preheat a cast iron pan large enough to hold the meat, on the stove. Add a drizzle of olive oil to the pan. Once the pan is hot, sear the chop over medium-high heat, without moving, for 2 or 3 minutes until a nice crust appears. Turn the meat and sear the other side in the same way. Arrange the garlic and the thyme around the chop. Place the pan in the preheated oven, and cook until the centre of the meat registers at 125 degrees F., about 20 to 25 minutes. Transfer to a carving board, and allow to rest for at least 15 minutes for medium-rare. Slice the meat away from the bone, and cut against the grain into 1/2 inch slices. Arrange on a plate or platter and service immediately. 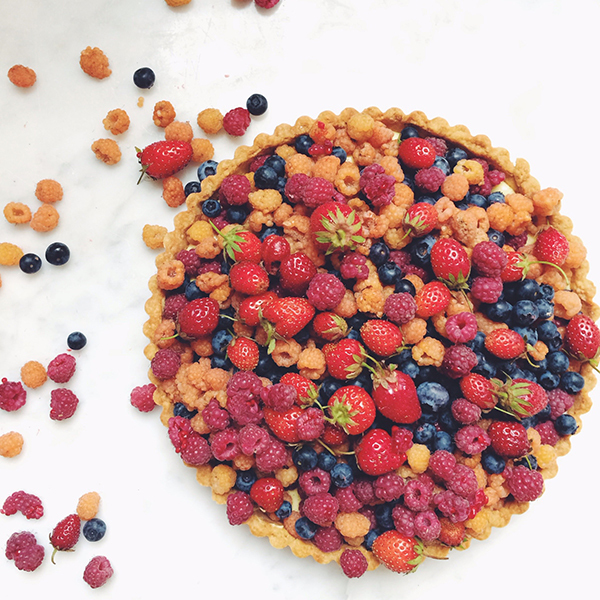 Our first summer berry tart at The Cook’s Atelier features white and red raspberries and the last of the tiny strawberries for the season. 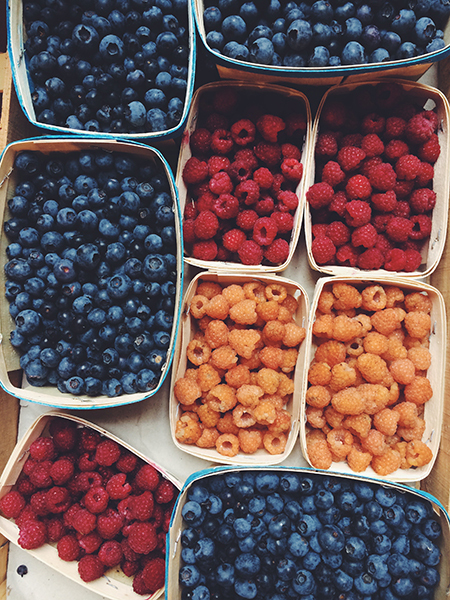 We source our berries from our garden at Clos de la Cozanne (aka Kendall and Laurent’s house) or from one of our favourite biodynamic farms, la Ferme des Zacheries. This tart is so simple to prepare. We use our favourite pastry cream and pâte sucrée and add a little dusting of confectioner’s sugar just before service. Sweet! On a lightly floured work surface, roll out dough to a 12-inch round, about 1/4 inch thick. With a pastry brush, sweep off excess flour, fit dough into a 9-inch round fluted tart pan with a removable bottom, pressing into the edges and using your thumb to remove excess dough. Chill tart shell until firm, about 30 minutes. Line the tart shell with parchment paper, leaving a 1-inch overhang. Fill with dried beans and bake until the edges are just beginning to turn golden. Remove parchment paper and weights; continue baking until golden all over, 10 to 15 minutes. Cool tart shell completely on a wire rack. Meanwhile, whip the heavy cream and sugar in a bowl until soft peaks form. Working in batches, gently fold whipped cream into pastry cream; set aside. Spoon pastry cream mixture into cooled tart shell and spread evenly. Top with the mixed berries; dust with confectioners sugar. The tart is best served the day it is made. Thanks to Marjorie Taylor and Kendall Smith Franchini for taking time out of their busy schedules to answer our questions. All images © The Cook’s Atelier unless otherwise stated.